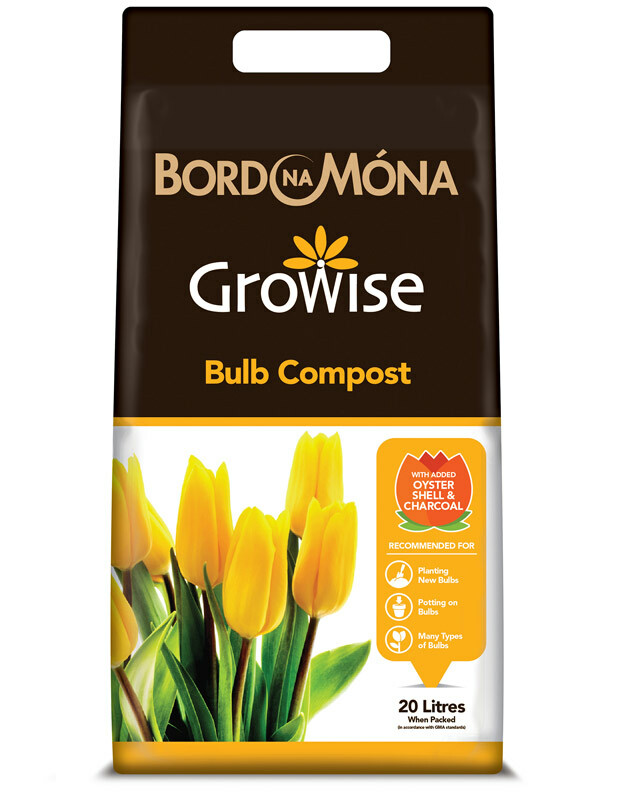 Bord na Móna Growise Bulb Compost is a specialist blend of peat, charcoal and oyster shell creating a light free draining media with added nutrients to encourage strong roots and bright blooms. 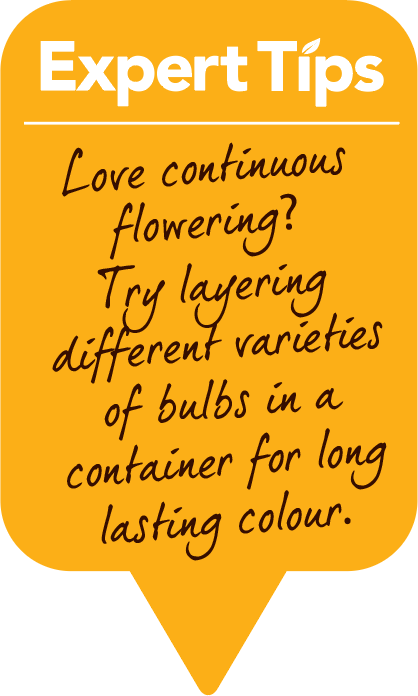 It can be used both indoors and outdoors in containers, with many bulb species, to create eye catching, colourful displays. Keep the newly planted pot or container in the dark, or cover with a dark cover until green shoots are well established. Remove cover and water sparingly as required. For planting out bulbs, dig a hole that is 3-4 times deeper than the width of the bulb. Add a thick layer of Bord na Móna Growise Bulb Compost all round the hole. Place the bulb in the hole and cover with compost. • Firm around the plant and then water it well.